Abstract: As more and more young people appear on street with Airwheel electric scooters, people are wondering why they are so crazy about riding Airwheel scooters. In fact, it is not craziness, but a kind of lifestyle that makes life passionate and colorful. Travel season has arrived, and summer is the best time for those young people who love traveling outside with friends. With Airwheel self-balancing scooter, they have a new way of outdoor entertainment which has gradually become a part of their daily life. Why those young people love Airwheel electric scooter so much? The first reason comes from their desire for living a new way of life that fits their personality and preferences. 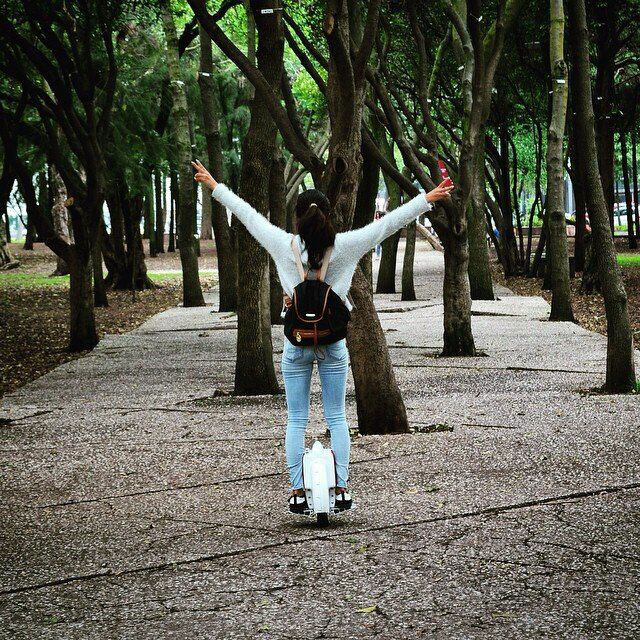 Instead of joining traveling team or engaging themselves in online shopping, many young people choose the healthy and fashionable way of outdoor activities - Riding Airwheel self-balancing electric scooter, which has become the most fashionable way of daily transports, showing personality while contributing to environment protection. Those young people have been educated to care for environment issues, therefore, they attach great importance to green transportation. By riding Airwheel electric scooter, those young people feel proud of themselves since they have contributed their own strength to environment protection. Compared with traditional bicycling, which is relatively laborious and time-consuming, riding electric self-balancing scooter can help people travel much faster and more convenient with two hands free. Furthermore, due to the small-size and lightweight of the self-balancing scooter, people are relieved from the anxiety of finding parking lot or theft, which are common problems in many cities. Airwheel self-balancing scooter can be taken away easily by riders. In fact, with constantly improved performances, Airwheel electric scooter is much lighter and easy-to-carry, providing great convenience for our daily travels. Therefore, many people fall in love with Airwheel electric scooter since they can travel whenever they want and wherever they can, deciding their way of enjoying traveling. Young people love riding Airwheel self-balancing scooter on street for another reason- enjoying the marvelous riding experience while displaying the positive spirit of passionate life and living harmoniously between human and nature. It is also a way of influencing other people. With flourish of technological innovations, people are finding their new way of enjoying the fruits of technology and living a green life that is both healthy and environmentally-friendly. That’s why Airwheel self-balancing electric scooter has generated so much popularity among people from all walks of life pursuing high-quality life.